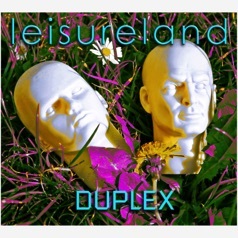 leisureland were formed circa. 2001 by dean newsome and david brewis after working together on various live and studio projects for 5 years. david is a founder member of the Kane Gang, and has worked with Prefab Sprout, Ben E King and Lighthouse Family. dean is a founder member of Mini Tonka and has toured extensively and also has provided session vocals for many projects. after deciding to become a duo, the two immediately decided to change tack, and write some music that didn't have any songs in it. not as such, anyway. so, armed with an old LP of audio about the mercury space program, and a vinyl single of yuri gagarin's journey into space, pc world in gateshead was emptied of its ejay sample discs, and work commenced on the "slingshot" project. a bit of singing and some guitar and bass were added where needed, project completed 2002 and released on cd. it isn't strictly electronica or trip hop or whatever, but somewhere nearby. after some de-briefing, dean discovered the world of the pre-war usa radio serial, and bought some discs of "moon over africa" which is a classic fantasy story. to avoid narrative, this was chopped up and random parts used for dramatic colour. originally to be called "this is africa", the project became the basis of "duplex" in 2008 which was originally intended as a promotional showreel cd. apart from the original material, the album features a cover version of "wild is the wind" (not available in USA, canada, japan or india for copyright reasons), the classic Tiomkin/Washington song previously sung by johnny mathis and david bowie & others. 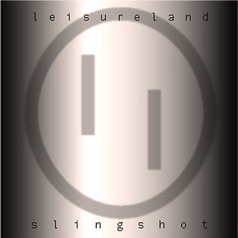 SPECIAL WEB DEAL, BUY SLINGSHOT AT £10.99 INC. UK POSTAGE, AND GET DUPLEX PROMO CD FREE!! !